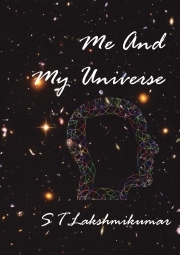 Description of "Me And My Universe : A Conversation"
This book presents in a conversational format, my personal philosophy that was earlier developed in a series of monographs about science, its strength and weakness and its relation to religion. It has been my consistent position that while a non expert cannot hope to completely understand science, let alone contribute to a new scientific discovery, use of simple common sense would enable one to understand the strength of the scientific result and its utility. Ultimately, both science and religion are converted by the “experts” into commandments which ordinary people, incapable of understanding or evaluating by themselves must obey. My personal philosophy has been to reject this deification of expertise and to demonstrate that even a common individual can evaluate what is useful for himself. This conversation is an attempt to bring this philosophy, more fully developed in the monographs to the common man. I had earlier identified nine pieces of short fiction by internationally famous authors which in my opinion highlighted my philosophy. The linkage was made clear in a series of short essays. I titled the anthology “My and My Universe” too but due to copyright constraints simply posted the essays in my blog, hitopadesam, at wordPress. In as much as the present conversation has the same goal, I have chosen to use the same title here. Dr. S T Lakshmikumar was awarded the Ph. D degree by the Indian Institute of Science in 1981 and worked as a scientist at the National Physical Laboratory, New Delhi from 1983 to 2015. His published monographs are The quest for new materials and Experimenting with the quantum world (Published by Vigyan Prasar), How well do we know it?, On walking the knife edge of science and religion, An unknown scientist in the ivory tower, India : My India and The lizard in the ear and forty modern variants (Published at Pothi). Reviews of "Me And My Universe : A Conversation"